Is Self-Sabotage Holding You Back? The Easter break is over and some of you are probably feeling pretty guilty after overindulging. You might be thinking that you have ruined all of your progress and that you have to start from scratch. You might even be feeling frustrated with yourself for always screwing things up. “Why do I do this to myself?” If you’ve spoken these words to yourself, you may be an unknowing victim of your own self-defeating behaviours, better known as self-sabotage. We all get in our own way occasionally and many people do it over and over again. Self-sabotage can be described as a combination of negative thoughts, feelings and self-defeating behaviours, caused by low self-esteem and a lack of self-confidence that create barriers to achieving our goals. We are sabotaging ourselves when we consciously want something but subconsciously make sure we don’t get it. The behaviours are so subtle, that sometimes we don’t even realise we are doing it. 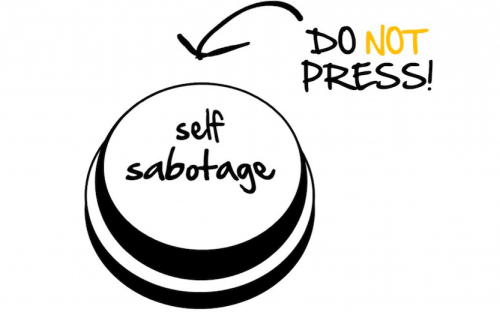 Self-sabotage is also used as a way of coping with difficult situations or high expectations of ourselves that we unconsciously feel we are not capable of reaching. We tend to react to events, circumstances and people in ways that inhibit our progress and prevent us from reaching our goals and objectives. Desire to always be in control. If you have a fear of failure (trigger) that makes you want to keep your goals to yourself (self-sabotage behaviour) then do the exact opposite (replacement behaviour). When you begin a weight loss journey, you don’t go into it hoping for the best and expecting the worst. You go into it expecting to achieve a particular outcome, whether it be losing a certain amount of weight or fitting into a specific outfit. So put it out there! Tell your family and friends and put the pressure on yourself so you stay accountable to your goals and actually do what needs to be done to guarantee success. If you’re stressed or emotional (trigger), instead of reaching for that tub of ice-cream or other comfort food (self-sabotage behaviour), call a friend (replacement behaviour). They can help you talk through your feelings and offer support. If you’ve had a bad day at work (trigger) instead of reaching for the wine bottle (self-sabotage behaviour), go for a walk or hit the gym (replacement behaviour) to clear your head, release some negative energy and allow you to refocus and take charge of the situation. This all comes down to planning ahead. Plan your meals and prepare them ahead of time. Schedule and prioritise your exercise. Make it as easy as possible for yourself so that you have no other choice. If you catch yourself making excuses, remind yourself that they are why you are where you are today and why you decided to make a change in the first place. Think about your goals and how far you’ve come already. This could be your family, friends and colleagues at work – people who would support you every step of the way and help you stay accountable to your goals. When self-sabotage behaviour is about to kick in, don’t be afraid to call on them for support. Sometimes a quick, reassuring chat is all you need to help you get back on track. Our expectations can sometimes lift us up to new heights, or they can set us up for disappointment. This is why it’s so important to always keep our expectations realistic. There is nothing wrong with setting your expectations high, however at the same time make sure that they are flexible and take into account the conditions and resources you have available to achieve them. People often self-sabotage because of perfectionism – if it isn’t perfect, then what’s the point? There is no such thing as perfection. There is never a perfect time and things will never go perfectly. You don’t need to be perfect in order to reach your goals, you just need to be consistent. 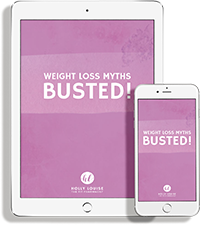 When it comes to dieting, this is proven by research which shows that people on strict fat loss diets will more likely overeat if they feel they have deviated from their diet even slightly. It incites the “oh well, I’ve blown it now, I might as well completely binge” response. People not on rigid, restrictive diets aren’t as likely to do this. So next time you have a little setback or roadblock, make a conscious effort to stop yourself from immediately think you have failed and seeing the ‘whole thing as ruined’, because this is when you will really ruin it. Unworthiness is the self-perceived belief or feeling that you don’t deserve success, approval from others and ultimately, happiness. It comes from poor self-image and low self-esteem. By working on your self-esteem you will be comfortable enough with yourself to just be you – not the person you think others want you to be. There is nothing more attractive than somebody who is comfortable in their own skin and with who they are. Comparing yourself to others and the subsequent jealousy and insecurity this creates will only hold you back. You are you so just do you! The people who really get ahead in life are the ones who actually take the time to think and reflect upon their thoughts, feelings, decisions, behaviour and actions.These people learn from what has worked or failed for them in the past and they adjust their course of action by taking a different approach. Only through self-reflection can we gain the necessary insight, perspective and understanding to incite change. Trying a replacement behaviour (seeing friends or being active when sad, doing something distracting when stressed or bored) once or twice doesn’t work. Just like going to the gym a couple of times doesn’t make you fit, either. Self-sabotage is a learned pattern; so you have to take corrective action again and again to create a new habit if you want the changes to take hold. This is much like how your results are the sum of what you do consistently, not what you do occasionally. Consistently means months and years…not days! Don’t let another year go by of you holding yourself back and stopping yourself from achieving what you really want to achieve. Take ACTION and watch your life CHANGE!